Which picture of Gemma is your favorite? Which picture of Gia is your favorite? Which picture of Koda is your favorite? 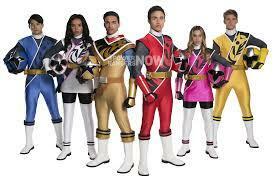 a pop quiz question Wurde hinzugefügt: Which of the Rangers DID NOT lose their memory in the episode The Last Ranger? a pop quiz question Wurde hinzugefügt: What did Carter tell Leo after he congratulated him on the Rangers destroying Trakeena? a pop quiz question Wurde hinzugefügt: What order were the Lost Galaxy Rangers behind the Lightspeed Rescue Rangers in the Omega Megazord to destroy Trakeena for good? a pop quiz question Wurde hinzugefügt: Which Lost Galaxy Ranger sagte this to Olympius: You're in for a big disappointment. Which Ninja Steel Ranger sagte this after the Legendary Rangers appeared: There's 10 of them.